Looking For The Best Synth Under $500? Here’s a look at our favorites, including our top pick the – Korg Minilogue 4-Voice Polyphonic Analog Synth. They can be difficult to learn and master, but once you learn how to program and use one, it just might be the best instrument you’ve ever played. Sound – this is almost insultingly obvious (I apologize if it just cued an eye roll), but it needs to be said. If you don’t like how an instrument sounds, it doesn’t matter if you paid $500 or $5,000, if you picked the most reputable brand, or if it has 10,000+ features. At the end of the day, all the bells and whistles are irrelevant if the instrument doesn’t produce the sound and style of music that you’re looking for. Unfortunately, you won’t know if you like the sound until you get to play it. Fortunately, Amazon has a good return policy, so if you’re not satisfied with the synth after trying it out, send it back and try a different one. No harm, no foul. Analog vs. Digital – a digital synthesizer uses digital signal processing (DSP) techniques to generate digital sounds. In contrast, an analog synthesizer generates music using analog electronics, and samplers that play back digital recordings of physical instruments. Purists tend to prefer analog, but to be honest, most people can’t hear the difference. Additive Synthesis – builds sound by combining waveforms into a composite sound. Different instruments’ sounds are simulated by matching their natural harmonic overtone structure. Subtractive Synthesis – filters harmonically rich waveforms. These synths approximate instrumental sounds by a signal generator followed by a filter. This creates the “classic synthesizer” sound that is commonly associated with analog systems. FM – usually involves at least two signal generators to create and modify a voice. Often, this is done through the digital or analog generation of a signal that modulates the tonal and amplitude characteristics of a base carrier signal. 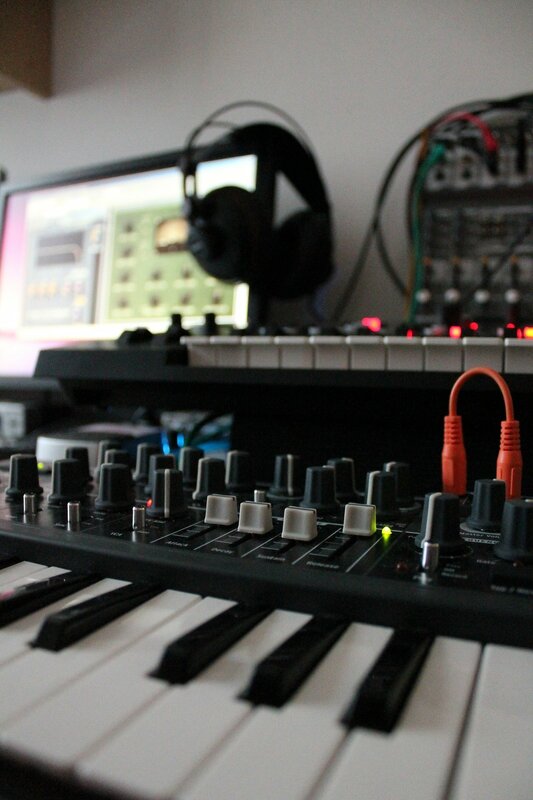 FM synths most commonly used to produce metallic, bell-like tones, and electric string textures. Phase Distortion – this is a method that you’ll find on Casio CZ synthesizers. It replaces the traditional analog waveform with one of several different digital waveforms that are more complex than the standard square, sine, and saw tooth waves. This waveform is routed to a digital filter and digital amplifier, each modulated by an eight-stage envelope. The sound can then be further modified with ring modulation or noise modulation. Physical Modeling – this type of synthesis is generated using a set of equations and algorithms to simulate each sonic characteristic of an instrument, starting with the harmonics that make up the tone itself, then adding the sound of the resonator, the instrument body, etc., until the sound realistically approximates the desired instrument. When an initial set of parameters is run through the physical simulation, the simulated sound is generated. It tends to add a realistic element to sound, especially in a string-like acoustic way. 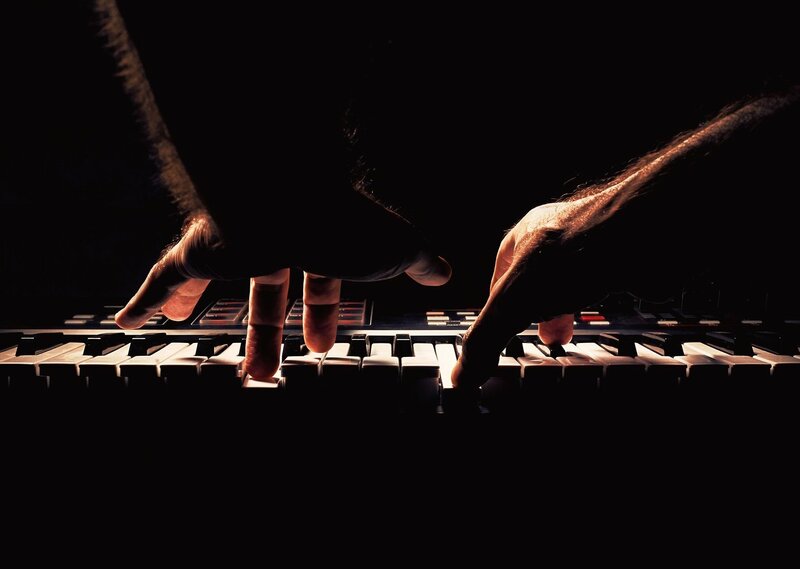 Sample Based – sample based synthesis involves digitally recording a short snippet of sound from a real instrument or other source and then playing it back at different speeds to produce different pitches. A sample can be played as a one shot, used often for percussion or short duration sounds, or it can be looped, which allows the tone to sustain or repeat as long as the note is held. Samplers usually include a filter, envelope generators, and other controls for further manipulation of the sound. Virtual samplers that store the samples on a hard drive make it possible for the sounds of an entire orchestra, including multiple articulations of each instrument, to be accessed from a sample library. 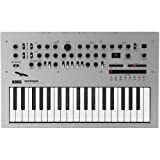 The Minilogue is a powerful and versatile professional-grade four-voice analog synthesizer. Of the top 5 synths under $500, this is the cream of the crop. It’s fully programmable with 200 program memories, and comes pre-loaded with 100 sounds. The instrument’s mile-long feature list includes a polyphonic step and motion sequencer, on-board tape-style delay, multiple sound shaping and filter options, an oscilloscope display, and a Voice Mode that offers the flexibility to configure the four voices. The MS20 Mini is a redesigned classic. Based on the immensely popular MS-20 that hit the market in 1978, the Mini version gives the classic MS-20 all of the modern upgrades that contemporary producers need with a more portable size. 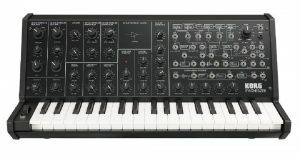 Interestingly, the same engineers that crafted the original MS-20 came together to design the Mini. They went through the instrument component by component, keeping as true to the original as possible while making minor tweaks to modernize the instrument. It has self-oscillating high-pass/low-pass filters with distinctive distortion, an external signal processor (ESP), and a flexible patching system. In my opinion, this synth offers the best bang for your buck. 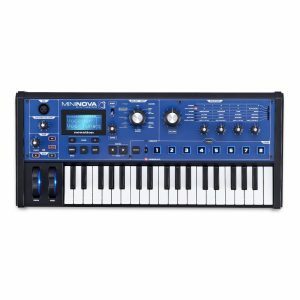 The MiniNova is an incredibly powerful mini-key synthesizer with a fully editable Nova-class synth engine and performance controls. Its smaller size, studio-quality sound, and professional performance/editing controls make it the perfect choice for producers and traveling musicians. In addition to generating original sound, you can also run your voice through the effects engine, and you can plug any instrument in to get the same special effects treatment. The MiniNova comes pre-loaded with 256 sounds, with the space to save another 128 sounds, and it includes 14 conventional waveforms, 36 wavetables, and 20 digital waveforms. The VocalTune and vocoder let you to recreate classic vocal effects with contemporary voice-bending effects. It has a number of knobs that let you to manipulate sounds, and it can animate sound with 8 back-lit buttons. There’s a large knob for filter cutoff, and each of the 3 oscillators (per voice) have density. You’ll have access to 14 filter types, 6 envelope generators, 3 LFOs and 20 modulation slots where you can link modules of the synth engine together to shape sound. You can also add up to 5 effects to each voice, including distortion, reverb, chorus/phase, delay, compressor, EQ and Novation’s unique gator effect. 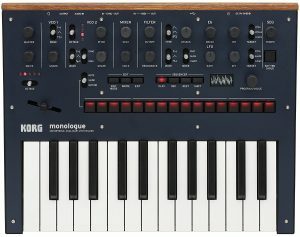 The Korg Monologue is an analog synthesizer with an all-new structure that’s optimized for monophonic sounds and sequences. It’s fully programmable, with 100 program memories and 80 presets. It has a 16-step sequencer with extensive motion sequence technology for expert sound movement, and micro-tuning to let you create scales and alternate tonalities. The oscilloscope is also helpful to let you visualize the waveform in real time. The Monologue is battery-powered, making it highly portable for traveling musicians. 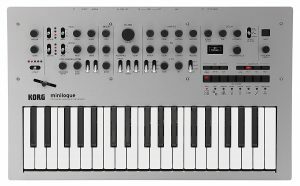 This is a compact version of the Arturia’s popular MiniBrute analog synthesizer. 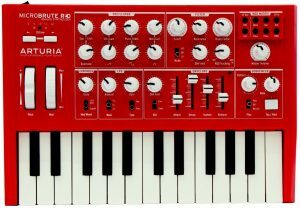 This instrument has the famous award-winning Arturia Analog Synth Sound with the Steiner Parker Filter for sound contour. For EDM or just playing around, the on-board step sequencer can power through hypnotic bass lines or background rhythm patterns with ease. Whether you want smooth textures, crushing leads, or thundering bass sounds, the MicroBrute delivers as it is the pocket dynamo synthesizer – mixable waveforms, onboard patch bay, CV and Gate, and audio processing. It has a semi-modular design, is surprisingly easy-to-use, is easily portable, and, most importantly, it comes in candy-apple red. This particular bundle features Arturia’s award-winning Analog Lab 2 software, with a free upgrade to Analog Lab 3. You’ll have access to 21 virtual instruments and a sound cloud of over 6,000 choice presents through the Power Browser. Don’t let anybody fool you into thinking you need to spend a few thousand dollars on a “good” synth. If your budget limits you to $500 or less, you can still get a fantastic quality synth with full functionality. Also, when you get your new instrument in the mail, don’t be discouraged by the learning curve that will inevitably arise. 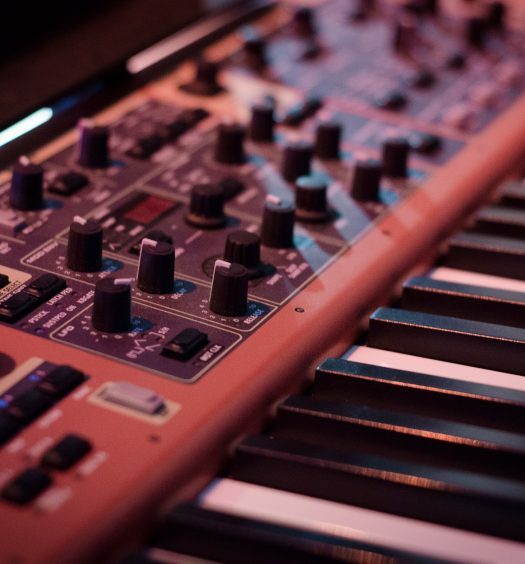 Synthesizers are complex, highly-customizable instruments, so it will take some time and practice before you can utilize the full functionality of your synth. Read the instructions, watch a few YouTube videos, and put in the practice time, and before you know it, you’ll be a pro at it.